We are an Award-Winning Blog! Do You Want to Blog for Fresh Hope? 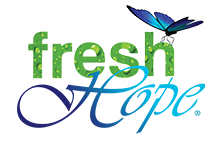 If you are interested in blogging for Fresh Hope, please submit an example of your work to Julie@FreshHope.us. Submissions should be 800 words or less, and address mental health recovery from a Christian perspective.